Sorry, this job expired on Feb 10, 2019. Below are other jobs that may be of interest to you. Fearless Restaurants is opening a new American bistro concept slotted for mid June 2018 and is looking to fill all BOH positions. Fearless owns and operates White Dog Cafe (University City, Wayne and Haverford), Moshulu, and Autograph Brasserie in the Philadelphia area. 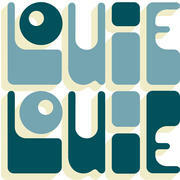 Louie Louie is located at 3611 Walnut Street in University City, accross from the Annenberg Theater. Positions can be filled immediately, to begin training at White Dog Cafe at 3420 Sansom Street. • Hourly rate based on previous work experience with great room for ADVANCEMENT!